Seven things you have to think about when you read a contract. A contract is a legal document. As a consequence it binds the parties who have signed it. Most of the time there are at least two parties in each contract. There can be more. You only speak about a contract when an offer has been made. And the offer has been accepted. 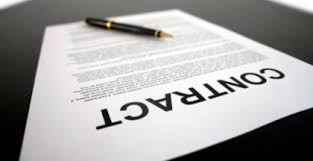 In contracts parties can stipulate whatever they want to stipulate, as long as it is not against the law. In a contract there are several things that need to be tackled. The parties with their names and contact details. If they are dealing in a certain capacity, for instance a director of a company, whether he is entitled to bind his employer. This has to do with the rules around legal representation. You also want to know what the subject of the contract is. This can be employement, sale, lease, rent, buying a house, a mortgage, a bank loan, and so on. The list of subjects is endless. Be aware that most professional contractparties nowadays use general terms and conditions. © 2016 mr. A.R. Oosthout LL.M., Dutch attorney at law, advocaat, Dutch barrister, Dutch solicitor. Member of the The Hague Bar. Robert Oosthout is a Dutch attorney at law. His law office is situated in Leiden under the name Oosthout Advocatuur. You can find the office at Schipholweg 103, 2316 XC Leiden, or via the website www.oosthoutadvocatuur.nl. Disclaimer: This document was written with the utmost care. You cannot make any claims based on the content of this document. If you have any more questions, feel free to call me on: +31 71 5249316 or send an e-mail to: oosthout@oosthoutadvocatuur.nl. Vorige: Vorig bericht: How to find the best lawyer? Volgende: Volgend bericht: De drie grootste fouten bij ontslag op staande voet.